I spent the last week at the beach, and let me tell you, Sarah Dessen's books are perfect poolside reads. This one, set in a small beach town, makes you want to grab your swimsuit and hit the beach as soon as possible. Throw in a dash of self-discovery and romance and viola! You have a wonderful coming-of-age tale about a girl who wants desperately to find peace with the people and the changes in her life. Although the synopsis portrays the love triangle as a major element in the plot, the story revolves more around Emaline and her own personal issues. From her poor relationship with her birth father to her fear of leaving for college, this is the tale of her road to acceptance. In all honesty, it was kind of nice to read a book that wasn't all lovey dovey. Most flawed characters don't take the time to focus on their own issues before throwing themselves into thoughtless relationships. Emaline, however, isn't most characters. Like I've said before, Dessen is amazing at developing realistic characters. Not only are they defined and entertaining, but also believable. They have flaws and they make mistakes. I felt like I really got to know the people in Emaline's life, as well as Emaline herself. The experience of leaving for college is both thrilling and terrifying. Dessen does an excellent job of portraying these conflicting emotions through Emaline's experiences. While I wouldn't necessarily catalog The Moon and More as a New Adult novel, I would recommend it to older teens simply because there are so many relatable concepts. 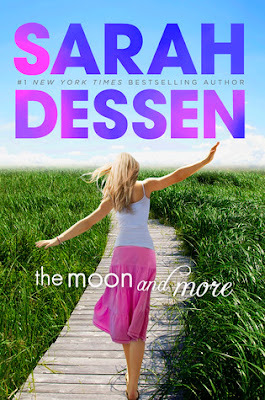 Overall, I enjoyed The Moon and More more than some of Dessen's other novels. 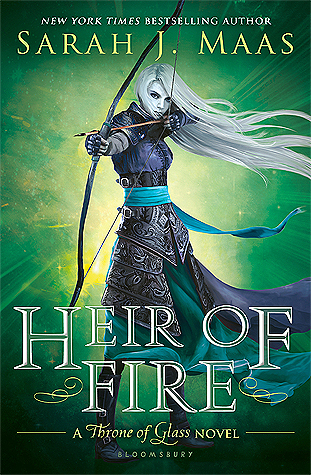 Fresh and entertaining, it was easily an enjoyable summer read. I'd recommend it to any of Dessen's fans, as well as girls who like a tale of self-discovery and acceptance. While the story won't have you on the edge of your seat, you'll be throughly entertained.